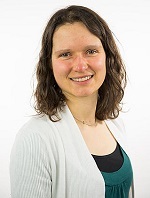 Congratulations to Dr. Hannah C. Barnes, postdoctoral fellow in atmospheric science at Pacific Northwest National Laboratory. She received a 2016 Editors' Citation for Excellence in Refereeing as a reviewer of submitted papers for Journal of Geophysical Research (JGR): Atmospheres. In 2016, Barnes got her PhD in atmospheric science from the University of Washington and joined PNNL as a postdoc. Her research focuses on using radars to understand how ice and snow are organized within convection. In addition to her work for JGR: Atmospheres, Barnes is a reviewer for publications such as Monthly Weather Review, Journal of Applied Meteorology and Climatology, and Earth and Space Science.